Jared is a full-time freelance Artist/ Illustrator living in Florida. He specializes in unusual drawings and paintings and is available for commercial design/illustration. New Shirt Design for my friends Band of Horses! I was recently contacted by the incredible Band of horses and asked to do a shirt design. As one of my all time favorite bands, I was honored. 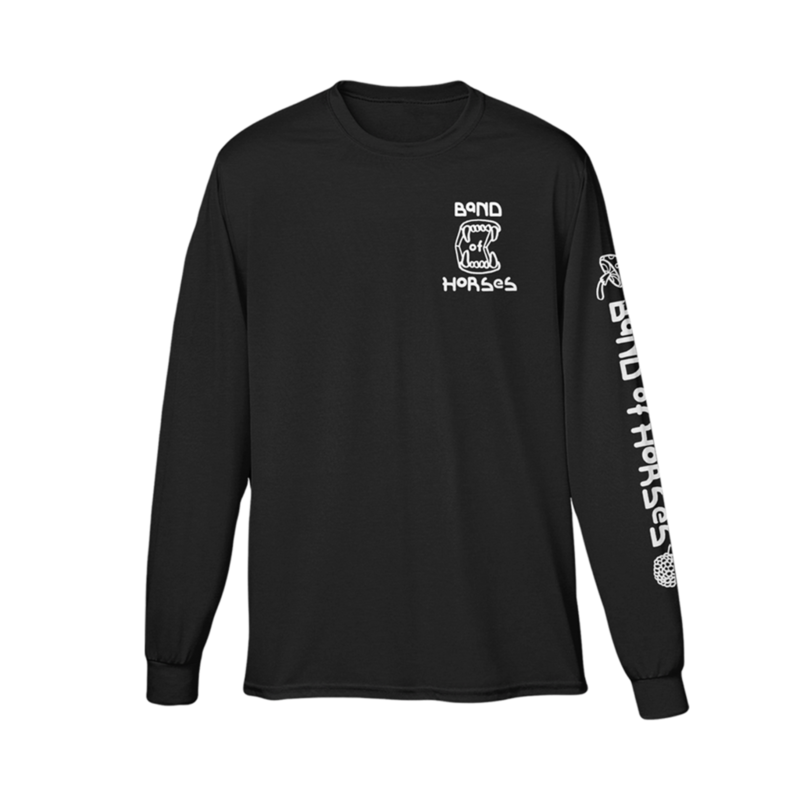 Well we combined our powers and made this long sleeve beauty. It is available in their store and on their upcoming tour. Please grab one and tell them how much you love it. “Contrast” Show pieces available now! I recently wrapped up my solo show “Contrast” at Rogue’s Gallery in Milwaukee, WI. I have a few paintings that did not sell, and I have added them to my shop for a limited time. Please take a look here. “Friends” 24″x36″ acrylic on two pc canvas, custom framed. New original paintings added to the store. I’ve recently added some newer (and larger) paintings to my store. You can check them out and purchase one Here! New Shirts! Who doesn’t love new shirts? I have a few new shirt designs up in my store. You can snag one right here if you’re so inclined.